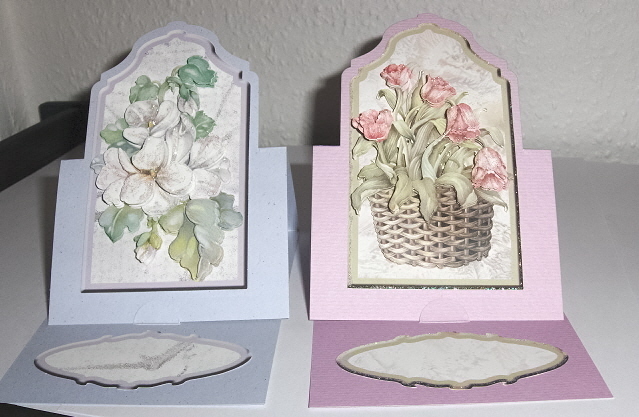 Last night was a very productive night card-wise, with a total of 8 cards made. 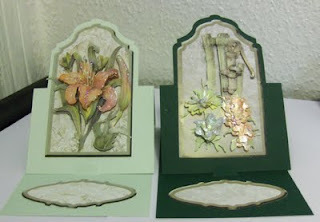 The cards were made from die-cut kits 1 & 2 by Creatief Art. Everything you need is in the kit apart from glue. 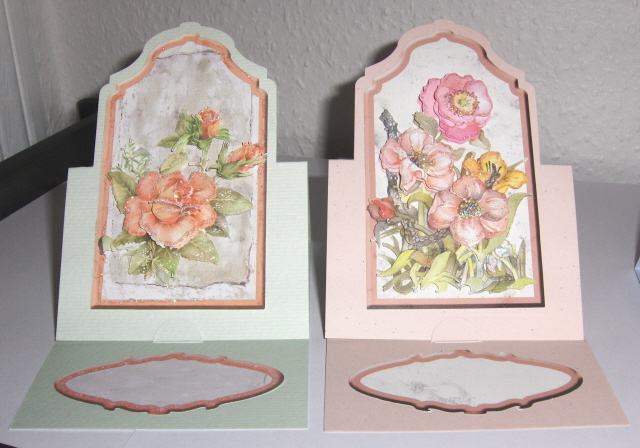 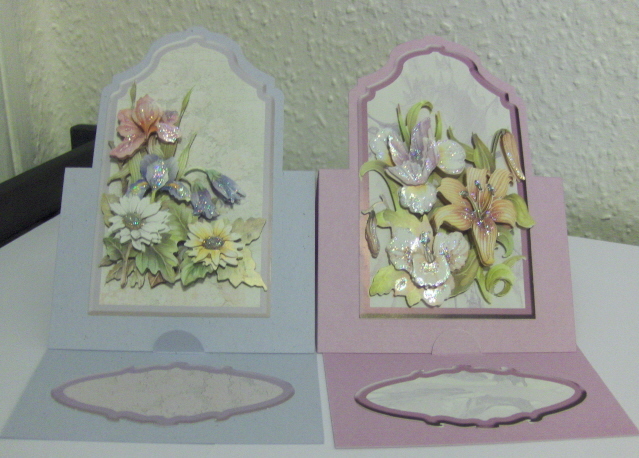 Very quick and easy to make - I just added a bit of Stickles glitter glue to highlight some of the flowers.